At the recent Permian Basin Water in Energy Conference put on by the University of Texas of the Permian Basin, energy industry companies, whose focus is on the completion process of the oil and gas industry, provided analytics associated with water use in hydraulic fracturing. The hydraulic fracturing process is now seeing jobs that are 60 stages, using between 7,000 and 8,500 barrels of water per stage. This would mean that each hydraulic fracturing job would necessitate 420,000 bbls of water. With the average truckload carrying 140 bbls of water, over 3,000 trucks would be needed to provide the water required for one successful well completion. An estimated 300,000 lbs. 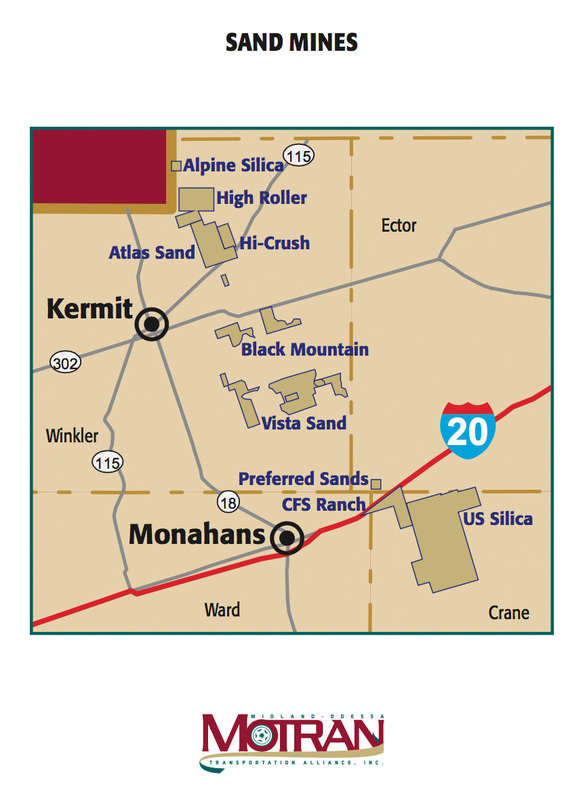 of sand is now being used per stage of these frac-jobs. At an average of 50,000 lbs. of sand per frac-sand truck hauler, the result is then over 360 sand trucks throughout the life of a fracturing job. 3,600 truckloads of sand and water alone are needed for each well completion, not to mention all of the other necessary equipment and services that take place over a typical multi-week process. Over the last 18 months, over a dozen sand mines have gone into development/production to support the needs of the hydraulic fracturing industry. These locations are primarily located on the eastern side of the Delaware Basin and each has a 500-600 daily load capacity.